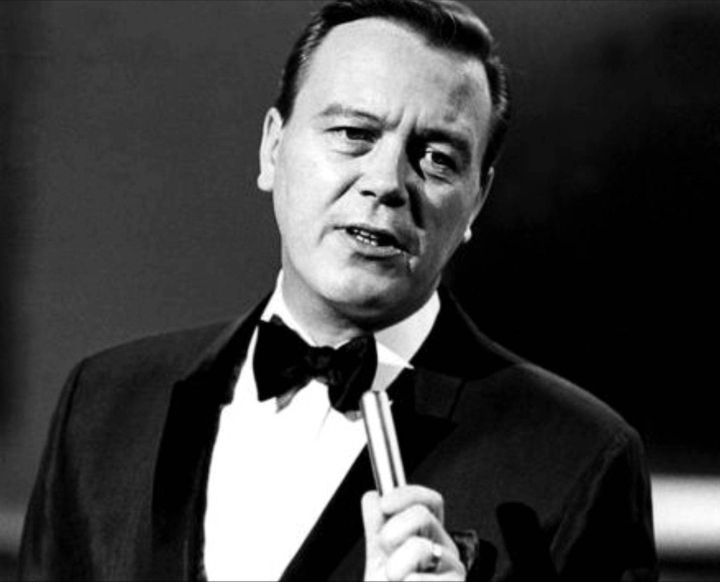 Recalling that Matt Monro was a British singer, you may be wondering why he is our featured artist this month, particularly since the mission of this website is to document the history of American popular song. The short answer is that in a nation of immigrants, much of our music has immigrated as well. And so we decided to sample a bit of “British Invasion” — not The Beatles and Rolling Stones invasion, but the influences of British artists on the Great American Songbook. Born Terence Edward Parsons in London, 1930, Matt Monro might be one of the least-likely candidates for immortalizing as a representative of British influence on American popular song. His career in the USA was never spectacular; his final album stateside was released in 1970. Monro had few hits, most of which had only modest chart success. Today his name and voice are virtually unknown to Americans under the age of 50. Even those under the age of 70 who remember him will be hard-pressed to name any of his recordings. Which is exactly why we are featuring Matt Monro. Born in 1930 — although the year may not be accurate thanks to optimistic publicists — Monro began his career as a crooner in the mid 1950s. He was nicknamed “The Singing Bus Driver” because he worked as a taxi driver to support himself; studios played up this angle by photographing Matt in a taxi driver’s outfit while cutting a record. Monro pounded the pavement around Denmark Street (London’s Tin Pan Alley) performing backing vocals and cutting demos while seeking his big break. That break came in 1956 when he became a vocalist with the BBC show band. By 1957 he had signed with the Decca label, releasing a number of standards on 45 rpm and even a few on 78 rpm format for the British market. The taxi angle was dropped when the press christened Monro “The British Frank Sinatra”. At this point Monro was one of many trying to make it big as a British pop crooner, and when the bus departed for rock and roll in the late 1950s, the Singing Bus Driver was left on the curb. With his career in a tailspin before it really even started, Monro was back to doing demo work, studio fill, and writing jingles to put bread on the table. In 1960 he received his second shot at stardom through a rather unlikely route involving comic actor Peter Sellers and legendary producer George Martin. Known for an ability to sound like Frank Sinatra, Monro was tapped to make a demo for a Sellers comedy album that was to lead off with a Sinatra send-up. Monro’s version was so accurate that Sellers — knowing he couldn’t replicate it — decided to use it. The recording was popular, and Monro received little if any credit. The break came when Martin asked Monro to make a few recordings for the Parlaphone label. The second such recording, “Portrait of My Love,” rocketed to #3 on the British charts, and subsequently made some noise in the U.S. market. The recording was strong enough that it was covered (actually re-covered, since the original was a jazz standard) by a number of American vocalists. The strongest hit came for a young Steve Lawrence, helping to launch his career as the title track of his second album. “Portrait of My Love” became a standard thanks to Monro, but oddly enough Lawrence sold more copies and it became one of his signature songs. Monro’s styling and timing on “Portrait” are such that some Americans thought they were listening to Sinatra, and thus his earlier nickname “The British Sinatra” would stick for the rest of his career. Monro, for his part, is said to have greatly admired Sinatra, and was honored when Ol’ Blue Eyes personally endorsed Monro’s vocal abilities. His follow-up recording, “My Kind of Girl,” cemented the Sinatra sound. The song charted well in the U.S. in 1961, and to this day listeners assume it is a Sinatra standard. Although some branded Monro an imitator, it seems that his styling mostly served to validate the Sinatra legend. Sinatra took to performing the song himself, making it an instant standard. Think about it: Matt Monro was a Sinatra-influenced singer who influenced Sinatra? Stranger things have happened. Lightning would strike again for Monro with “Softly, As I Leave You” which scored on the U.S. charts in 1962. After seeing Monro’s popularity rocket with yet another Sinatra-styled song, Frank decided that this time he wasn’t going to let anyone out-Sinatra him. Eventually Ol’ Blue Eyes charted his version in 1964, and more or less made the song his own — at least domestically. Interestingly enough, when Sinatra’s version climbed the charts in ’64, Monro’s original got a second wind of its own. In between the two runs of “Softly,” Monro contributed vocals to the James Bond From Russia With Love title track, and charted strongly with a re-written Austrian song called “Walk Away.” 1965 saw a hit on the U.S. Easy Listening charts with a capable version of the Beatles’ “Yesterday.” In 1966 he vocalized the theme to the hit film Born Free, and was probably at the peak of his stateside popularity. Unfortunately these songs marked something of a trend in Monro’s song selection; despite the fact that he had the “first” singles of these songs — including the Beatles tune, believe it or not — he was starting to sound like a cover artist rather than an originator. An instrumental version of “Born Free” by Roger Williams was musically superior, and charted higher. And for the first time in his career, Monro’s vocal performance took a back seat when Andy Williams’ cover version bested the original. Years of cigarettes and late nights had taken their toll on Matt’s voice. He began working with American producers who seemed determined to mold Monro into a lounge act. He recorded cover after cover in the late 1960s, and the timing couldn’t have been worse. Just as his crooner style fell to rock and roll in the late 1950s, his crooner style fell to the electrification of the late 1960s. By 1970 artists like The Carpenters and Elton John — both of whom cited Monro as an influence — had come to represent a new sound in pop. The field narrowed for older vocalists. Artists like Sinatra and Williams adapted; Matt Monro still sounded like the Matt Monro of 1962. As great as that sound is today, it just wasn’t appreciated in the late 1960s. By 1970 he recorded his last U.S. album, which ironically featured a cover of the Carpenters hit and was titled Close to You. In retrospect, Matt Monro’s contribution to American Popular Song was a series of “crooner” type hits between 1960 and 1966. His impact was not meteoric, but to the extent that he defined a vocal style of sustaining notes in addition to his uncanny timing, Monro played a role in the future of vocal performance. His style echoes in the style of Michael Buble, and could be heard in many aspects of Karen Carpenter’s delivery. His recording of “From Russia With Love” set a new style for movie themes, a style another British import, Tom Jones, would echo in a later Bond film. And lest we forget, Matt Monro played a not-so-small part by validating Sinatra’s late 1950s sound.